Including science and technology as key dimensions of foreign policy and international relationships at different political levels is one of the calls backed by a group of scientists, research administrators, officials and policy makers. They see a confluence of interests in the benefit of both the scientific endeavour as well as legitimate broader political and societal objectives. 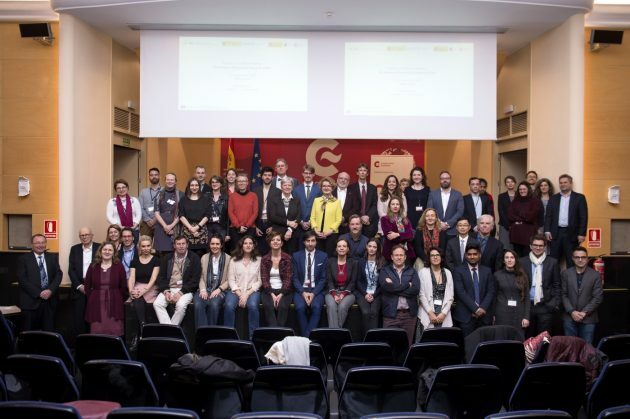 After a meeting in Madrid ‘EU Science Diplomacy beyond 2020’, organized by S4D4C, a Horizon 2020 funded initiative coordinated by Austria’s Centre for Social Innovation, a group developed the “Madrid Declaration on Science Diplomacy” which aims to foster agreement and raise awareness about the need to strengthen science diplomacy strategies and practices world-wide. Science diplomacy is often not fully exploited at all levels of governance, and especially at supranational levels: A greater scientific voice would add value to bi- and multilateral discussions and decisions about global challenges and directly or indirectly serving to advance diplomatic goals. More explicit science diplomacy strategies would allow for a more effective alignment of interests and a more efficient coordination of resources. It is an extremely useful tool for addressing global challenges and for improving international relationships as long as it is not distorted by ideological goals compromising the independence of science. Thus, science diplomacy should be given a greater role in efforts to solve global challenges and promote sustainable development. The Madrid Science Diplomacy declaration sees science diplomacy as a multi-actor effort in which diplomats, scientists and science managers as well as other non- state actors can have a role and can contribute to its deployment. This applies at the local, regional, national and international level. This innovative model brings new governance and coordination mechanisms that need to be managed in dialogue with all stakeholders. The reach of the declaration is truly global, the declaration features signatories from India, the United States, Latin America and Korea as well as several international scientific institutions. This blog post has been prepared by the representatives of the S4D4C consortium.